I was there at the time, when [Joseph] Lauwerys and Leo Fernig (often in London) and Joe Katz were laying the groundwork for the WCCES. Katz spent a year in London on sabbatical, and during that time he and Lauwerys were often together.... Lauwerys [was] the European founding partner in the nascent WCCES … [and] above all else, Lauwerys insisted that the administration and official centre of the WCCES should be housed in London. Joe Katz was, so to speak, an equal but distant partner ‘in partibus infidelium’. 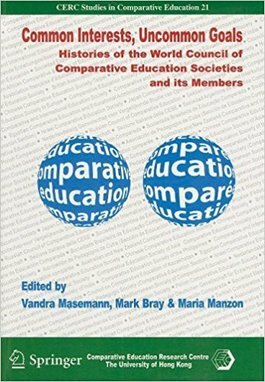 Common Interests, Uncommon Goals, edited by Maseman, Bray & Manzon, 2007 - please see details below)."